Raking up the fallen fruit and destroying them is a suggestion for controlling the spread of the weevil. Odes are being written and numerous social media posts speak to the bounty which is Montserrat’s mangoes. Many moan the large quantities which are wasted and wonder at why they could not be used to export but there is a reason and one that is costly to rectify. First, the mangoes remain edible. However, they cannot be legally exported due to a pest infestation. The Sternochetus Mangiferae is a monophagous pest on mangoes. Translation. It is known as the mango seed weevil and this pest only infests mangoes. According to research, it is one of the most important mango pests and widespread in most mango-growing countries. It is invasive and attacks more than one kind of mango species. The results affect the export potential of the fruit but also its use in the daily lives of communities. Discovered in the Pacific, the weevil is also a problem for larger nations such as India and parts of Australia. Around the Caribbean, the following islands are known to have the same problem: Barbados, British Virgin Islands, Dominica, Grenada, Guadeloupe, Martinique, Puerto Rico, Saint Lucia, Saint Vincent and the Grenadines, Trinidad and Tobago, United States Virgin Islands and Montserrat. The Ministry of Agriculture is aware of the weevil. It has been a known problem since the 80s, Discover Montserrat learned. However, the high cost to resolve the issue remains a challenge. The weevils can be killed using chemical control or by completely destroying by fire all of the mango trees to eradicate the infestation, one official shared. The chemicals however are very expensive and destroying the trees by fire would require national compliance. 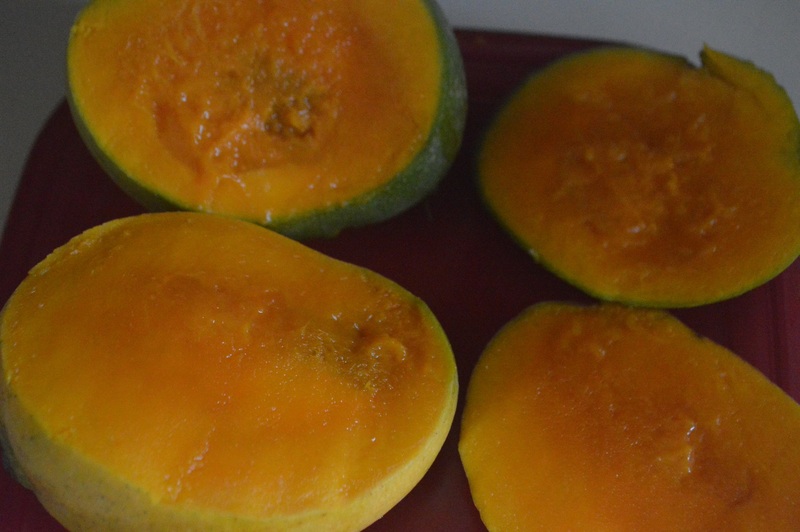 Some mangoes once ripe develop a soft inner core. The fruit remains edible but the export potential is lost. 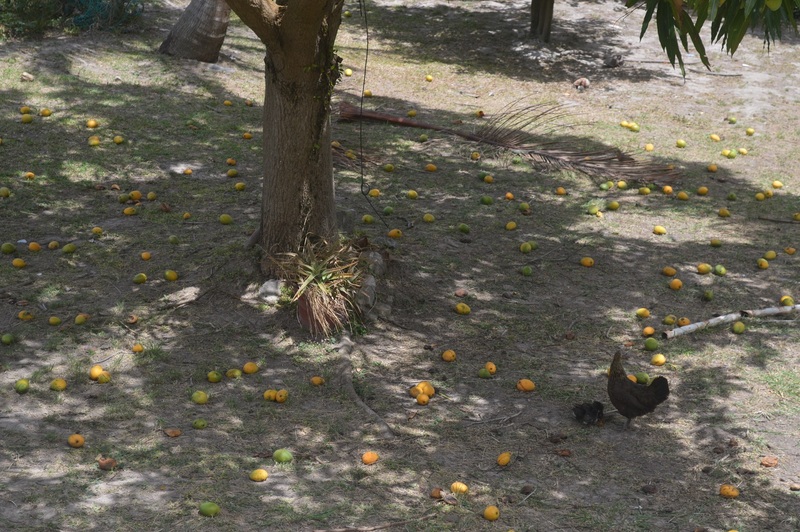 You may notice that many older Montserratians don’t pick up mangoes from the ground to eat. It is a safety measure as the weevils can get into mangoes on the ground. The adult weevil usually emerges from the seeds after fruits fall and enter a state of suspended development until the next fruiting season. The weevils are only active during mango season. The weevil is spread when people transport fruit, seeds, seedlings and/or cuttings containing larvae, pupae or adults. The greatest damage caused by this pest is to interfere with fruit export because of quarantine restrictions. The damaged fruits have obvious hard, amber-coloured, protective resin marks over eggs on the fruit skin, often resulting in fruits being downgraded. For late-maturing weevils, emerging adults can cause post-harvest damage to the fruit flesh. The weevil infestation can increase fruit drop during early fruit development, and reduce the germination capacity of seeds. Probably its greatest significance as a pest is to interfere with the export of fruit because of quarantine restrictions imposed by importing countries. According to research, good orchard sanitation is an effective way to reduce adult populations, and this involves the destruction of all the fallen fruit, stones and fruits with seed weevil damage during and immediately after mango harvest. It is also suggested that trees should not be planted too close together. This would be a further challenge on island, as many trees grow wild. “Plough the soil under the trees. Maintain field sanitation. Collect and destroy the affected fruits at weekly intervals. Dip the fruits in hot water at 50 degree celsius for two hours to kill the grubs. This treatment will not harm the fruit pulp. Treat the bark with kerosene suspension or diazinon 0.05 per cent to kill the hiding adults before the start of fruiting season. Apply carbaryl at 4g /lit alternated with monocrotophos at 1.5ml ml/lit at 22 days interval from the beginning of March to the end of May,” recommends Indian agriculture officials. While the fruit cannot be exported with the seed intact, there are other ways the fruit can be used to create products. For example, mango jam, and other treats which use the pulp. More education is needed on island to understand which mango trees are most susceptible to the weevil and how residents can help reduce the spread of the pest. Thank you for the feedback Larry. It would be good if the local government would release more details on what they are doing or what residents can do to manage the problem in their own yards.